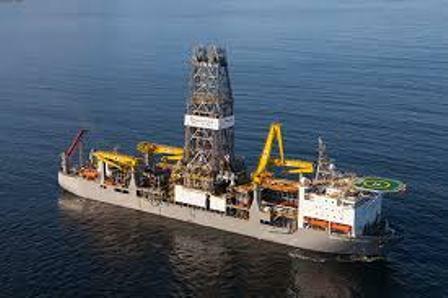 Guyana has secured a US$20 million loan to support capacity building for Petroleum Resources Governance and Management from the World Bank. The loan was approved on Friday March 29, 2019. This project will enhance the transparency, governance, legal, regulatory, and institutional frameworks for the oil and gas sector in Guyana. In a statement, government noted its recognition of the risks associated with being a new oil and gas (O&G) producer, and it therefore worked to negotiate this loan with the World Bank. The loan will address governance and management risks from inadequate policy, legal and regulatory frameworks, and institutional capacity needed to maximise the benefits from expected oil revenues; and to minimise downside risks associated with oil revenues and growth of the sector. As such, the components of this loan reflect the reality that the O&G sector will affect multiple layers of the economy; impact the livelihoods of present and future generations; the environment and local communities; and that, if poorly managed, the development of O&G resources can be economically and socially costly for the country. Additionally, there are environmental and social risks – usually infrequent but with high impact – associated with O&G production that require effective and constant monitoring, as well as significant investment in environmental damage prevention and response capacity, among others. Moreover, government said that it is keen to invest in strengthening its institutions and building capacity to manage O&G resources. Therefore, the project envisages that Guyana’s legal and regulatory frameworks for the O&G sector will be reviewed and updated with a view to maximising benefits to the country and affected communities; managing the technical, environmental, social, and financial risks linked to the sector; and building capacity to engage effectively with investors. Institutional capacity to oversee and manage the O&G sector in the various relevant government ministries, commissions and other departments will be created using consultants, initially, but with a view to ensuring local personnel are trained to replace these technical advisers over time.